CRIME, GUNS, AND VIDEOTAPE: India Was Ripe For The Mumbai Attack, No Firearm Training Was Provided! India Was Ripe For The Mumbai Attack, No Firearm Training Was Provided! 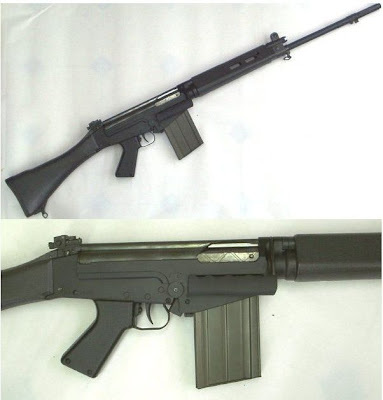 Mumbai, India—Police have some impressive rifles like the FN FAL, in .308. There are some but but individual officers are generally unarmed sharing weapons with others at best. Now The Indian Times broke a major scandal, that officers involved in the Mumbai attack defense had not fired their weapons in 10 years! It’s now obvious why a handful terrorists were able commit so much carnage and property destruction. You must read this to believe it! 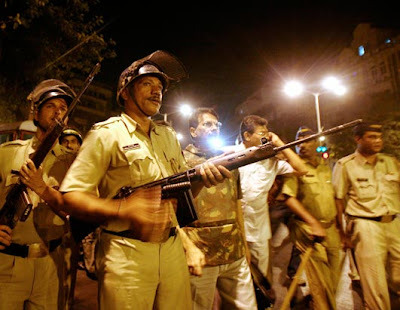 MUMBAI: The state constabulary was grossly unprepared to deal with the worst-ever terror attacks on the metropolis because of an acute shortage of weapons and ammunition. Official records show that for a force of well over 1.8 lakh, the home department procured a meagre 2,221 weapons — 577 for Mumbai, and 1,644 for the rest of Maharashtra. ‘‘Under the centrally sponsored modernisation programme, we purchased almost all types of weapons, but for a state like Maharashtra, the number of weapons was grossly inadequate ,’’ a senior official told TOI on Monday. In the absence of a firing range and of ammunition for practice, members of the law enforcement agencies have not opened fire in the last ten years. ‘‘I’ve been in the police force for a long time, but I had no occasion to open fire for practice,’’ a senior inspector of police said. As per the police manual, officials ranking from constable to assistant inspector get rifles with 30 rounds each, and those with the rank of police sub-inspector and above get revolvers, also with 30 rounds each. Jawans with the State Reserve Police Force are given SLRs or self-loading rifles. In addition, AK-47 rifles have been given to officials posted in areas where there is Naxal activity, while officials on VIP security duty are armed with either revolvers or carbines. The manual also prescribes mandatory training for all officials, especially shooting practice at the firing range. According to a senior IPS official, the norms prescribed in the manual now exist only on paper because of the acute shortage of ammunition for practice and the non-availability of a firing range. As per the rules, every district should have a firing range exclusively for the police. But official records indicate that more than half the state’s districts have no independent firing range. ‘‘We have constables who have not opened fire even for practice ever since their recruitment,’’ the official said. That is FNFAL .308, are you predicting america's future ? I have Brit L1A1 SLR just like that.Great weapon.